The cool dawn breaks. As the eastern sky begins to lighten, wood smoke from dozens of cook fires wafts across the valley. The smell of bacon frying makes bearded mouths water. The stomachs of buckskin clad men growl in anticipation of a morning meal. Such was the start of a typical morning at the 1827 Mountain Man Rendezvous at Sweet Lake (Now Bear Lake) and such is the way a typical morning will play out at the 2014 Bear Lake Rendezvous in Laketown Utah. August 20-24. History comes alive as authentic trappers, traders and Indians recreate the glorious hey days of the fur trade. There will be dancing and singing, trading, tall tales and tomahawk, knife, archery and black powder rifle competitions. 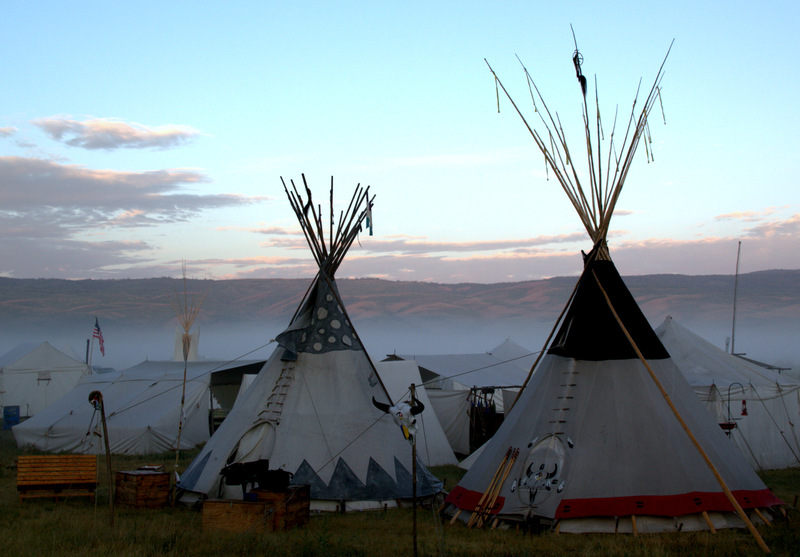 Browse the trade tents where authentic mountain man and Indian goods are available to purchase. Everything from buckskins, teepees and canvas tents to black powder rifles, bull horns and bows and arrows will be laid out in an amazing array of accurately recreated history. Marvel as the modern day craftsmen use primitive techniques and tools to make the everyday items of mountain man culture. So if you’re looking for a new and exciting adventure, step back in time and join us. Bring the family, spend an hour, a day or stay for the duration. Wrap a lip around some tasty mountain man cooking. Primitive camping is available.